Six individuals will be honored each year, with the goal of more than 30 spread throughout the Riverwalk. The public will also be encouraged to nominate significant events and individuals for consideration. 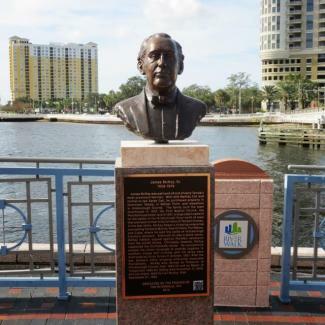 The unveiling will take place along the west side (river side) of the Tampa Convention Center at 333 S. Franklin St. at 11 a.m. on Tuesday, Dec. 3.